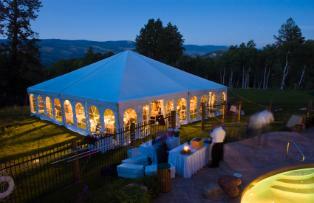 Special event insurance coverage can help protect your property and liability when hosting an event. Here’s a look at the different aspects of this insurance and why it’s beneficial. Though it’s not something you want to happen, the fact is that disasters sometimes affect special events like weddings, bar mitzvahs, retirement parties, and other big events. Even the most thorough planning leaves some things out of your control. Because there’s always the risk that something could go wrong – something that leads to an extra expense – you should consider insuring your event with special event insurance. Special event insurance is a type of liability insurance that covers expenses related to injury or property damage at an event. Special event insurance is typically used to cover a one-time event rather than an ongoing series of events. Special event liability insurance can protect you if you face a lawsuit resulting from the event, if someone makes a claim against you because they suffered bodily injury, or if some property was damaged during the event. Some special event insurance policies even provide cancellation coverage that takes effect if you have to cancel your event because of severe weather or another incident. You may be required to have special event insurance by your facility or some other party involved with your event. The insurance protects the person throwing the event as well as other vendors involved in the event. For example, the caterers, venue, event planner, bartenders, disc jockey, and other vendors will also be covered. Some insurance policies may let you add an additional insured person. For example, an event planner may name the person for whom they’re throwing the event as an additional insured person on the policy. You can add different types of personal liability insurance to the special event insurance policy. Liquor liability insurance may be included with special event insurance coverage. This insurance will cover claims where the bartenders aren’t covered by another type of insurance and if there’s a claim related to the sale or distribution of alcohol. For example, if someone becomes intoxicated, has an accident, and later tries to sue the bartender, the liquor liability insurance would provide protection. you’re using vehicles in your event, you can purchase non-owned auto liability coverage to cover any damage that might happen to the rentals or to people who may become injured in an accident. Weather insurance may be necessary to cover the cost of cancelling or rescheduling the event because of inclement weather. Or, if you face additional costs, like renting a tent, because of the weather, the insurance may cover that expense. You may even be able to avoid itemizing your expenses and simply collect the policy limit for this type of coverage. You may think special event insurance is unnecessary. However, it’s always a good idea to protect yourself, especially in a society where people are so quick to file a lawsuit. When a person suffers a loss or injury at your event, you’re immediately the person they think is to blame since it was your event after all. Even when a person’s injury is their own fault, e.g. someone gets too drunk then falls and hurts themselves, they blame you or your bartenders because you shouldn’t have allowed them to be drunk. It sounds preposterous, but it happens. Having insurance would allow you to settle out of court without bearing the brunt of the full medical costs. Special event insurance coverage isn’t expensive. Coverage can be relatively inexpensive depending on the size of your event and your coverage limits. For example, one insurance provider provides up to $1 million of coverage for less than $100. It’s a small cost to pay to make protect yourself against potential losses. And if something does happen, you’ll be happy you paid the expense. Next articleDo You Need Renter’s Insurance?